High powered vocals from the five tenors will rock your world. Don't miss out on seeing these powerhouses live! Book Now! 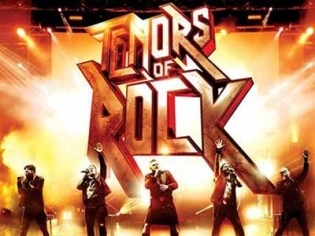 Don't miss out on this offer to see Tenors of Rock performing live at Harrah's. You'll save up to $38 per ticket. High powered vocals from the five tenors that rocked the world when they appeared on X Factor UK now rock the stage at Harrahs Showroom. This is a full production show with hits like “Back in Black,” “Whole Lotta Love,” “Living on a Prayer,” “Sweet Child O’ Mine,” and “Here I Go Again.” This concert experience transcends generations with reimagined versions of these beloved rock anthems. This group has toured 15 countries and played to sold-out audiences before making several stops in Las Vegas. So popular they now merit their own residency at Harrahs. Allow the Tenors to take you on a journey of classic rock from the early beginnings to the current hits.